The Mustang cross country team competes in first meet of the season. Competing in the Division II Bronco Roundup Invitational, the Mustangs kicked off their first cross country meet of the season at Kit Karson Park’s hilly two mile course on Saturday. Out of 16 total teams, the varsity boys took home second place and the varsity girls placed ninth out of 11. The JV boys went home victorious, taking first place out of 13 teams. 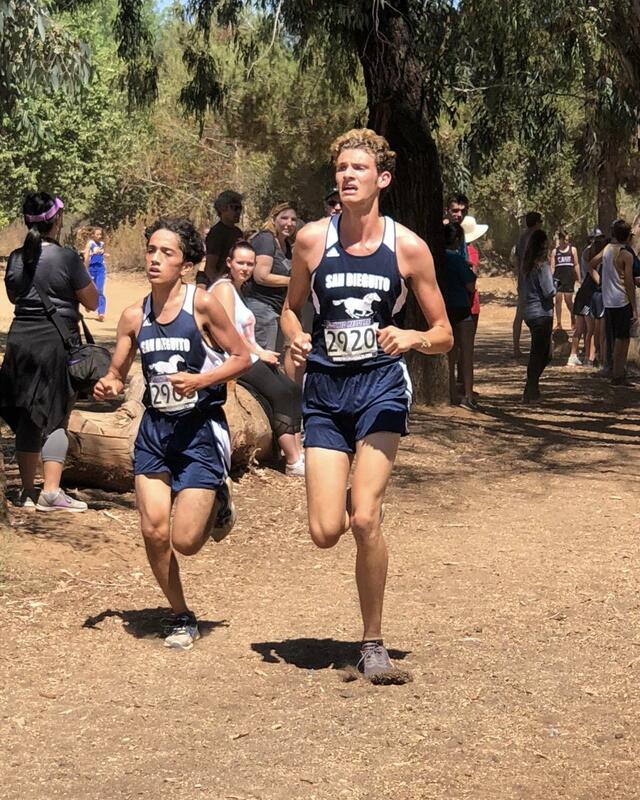 Leading the Mustangs for the boys was senior Conner Edwards who placed fifth in varsity out of 120 runners with a personal record of 10:22. Crossing the finish line next was junior Nathan Montanez in 12th place with a time of 10:45. Shortly after, in 17th place, was senior Zackery Edwards who ended with 10:54 on the clock. Finishing first for the Mustangs in the girls’ race was senior Lanie Weingarten who clocked 13:59, placing 41st out of 91 varsity competitors. Senior Torrey Platenberg trailed close behind in 46th place with a time of 14:16. An especially successful performance came from the JV boys team, who finished with 74 points less than their runner ups. Sophomore Tyler Coari lead the JV boys to victory. Coari placed second out of 134 runners in 12:05, only five seconds behind the first place runner. He was accompanied by senior Harold Williamson who placed 4th in 12:11 and junior James Mills who earned 6th place after clocking 12:12. The Mustangs will be back in action this Saturday at Morley Field for the Mt. Carmel/Asics XC Invitational.